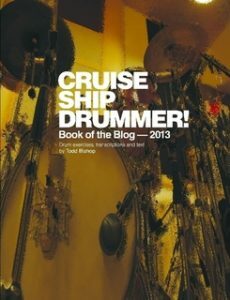 Drumming books written by Todd Bishop. Click on the cover images to purchase! 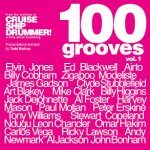 100+ drum grooves, as performed by top drummers, including Elvin Jones, Ed Blackwell, Zigaboo Modeliste, James Gadson, Billy Cobham, Clyde Stubblefield, Mike Clark, Stewart Copeland, and many, many more. 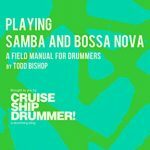 How to play Samba and Bossa Nove in a jazz band/lounge band setting. All the musical essentials you really need in the field, playing professionally. 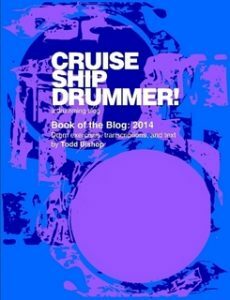 Topics include: your job as drummer when playing this music, how to build your own grooves, how to play with a band, how to play creatively and authentically, more! Summertime – drum solo, with accompanying figures. Good Old Funky Music – complete tune – Slamming funk! 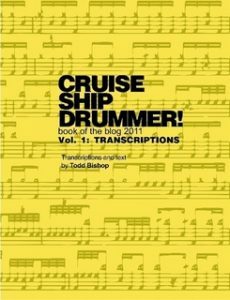 These books include all of the downloadable drum exercises and transcriptions posted on my Cruise Ship Drummer! 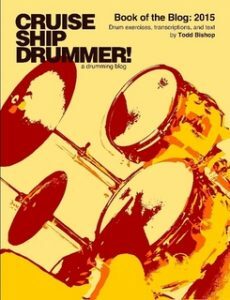 drumming blog in the given year. 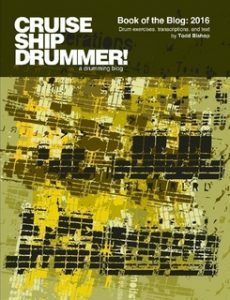 Each book is jam-packed with fun and challenging practice materials for intermediate to very advanced players. 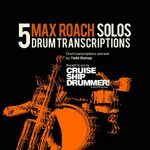 Plus transcriptions of: Billy Higgins, Joe Chambers, Airto, Connie Kay, Elvin Jones, Omar Hakim, Zigaboo Modeliste, Vinnie Colaiuta, Jeff Porcaro, John Guerin, Gerry Brown, James Black, Ndugu Leon Chancler, more! 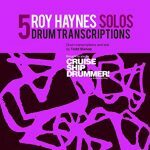 Plus transcriptions of: Billy Higgins, Frankie Dunlop, Elvin Jones, Ed Blackwell, Roy Haynes, Joey Baron, Tony Williams, Airto, Kenny Clarke, Al Foster, Famoudou Don Moye, more! 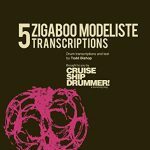 Plus transcriptions of: Tony Williams, Ed Blackwell, Jeff ‘Tain’ Watts, Ringo Starr, Dannie Richmond, John Guerin, Rick Marotta, more! 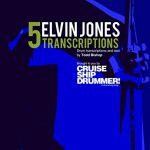 Plus transcriptions of: Tony Williams, Elvin Jones, Ed Blackwell, Philly Joe Jones, Frankie Dunlop, Art Blakey, Jon Christensen, Ralph Humphrey, Al Jackson, Greg Errico, Roger Hawkins, Milton Banana, more! 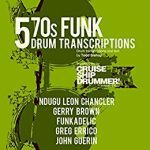 Includes transcriptions of Elvin Jones, Tony Williams, Vinnie Colaiuta, Jack Dejohnette, Roy Haynes, Zigaboo Modeliste, Ringo Starr, Frankie Dunlop, James Gadson, Paul Motian, Philly Joe Jones, Pete La Roca, Papa Jo Jones, Andy Newmark, Jim Gordon, and more.